The Confident Introvert, Lynette Crane, will share her insights on how introverts and extroverts can connect and communicate in the workplace for mutual success, and how introverts can thrive in an extrovert culture – without becoming someone they don’t like! Lynette is a Stanford graduate, certified life coach and nationally-acclaimed author of The Confident Introvert. 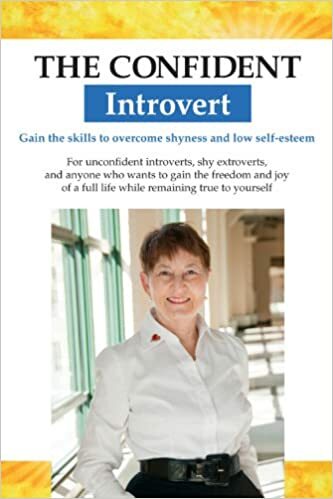 She has over 30 years’ experience working with introverts individually and in group situations, where they are frequently overwhelmed and overlooked in our extrovert culture. Guests: All guests are very welcome! Time: Food/Socializing 5:00 – 6:30 pm; Lynette’s discussion 6:30. Price: $15 for dinner. Cash bar also available. *Ivy/TCAN clubs include Amherst, Brown, Chicago, Columbia, Cornell, Dartmouth, Duke, Harvard, Johns Hopkins, London Business School, MIT, Northwestern, NYU, Penn, Princeton, Michigan/Ross, Smith, Stanford, Virginia, Wharton, Williams, Yale, Interclub, IvyLife and Twin Cities PhD Club.